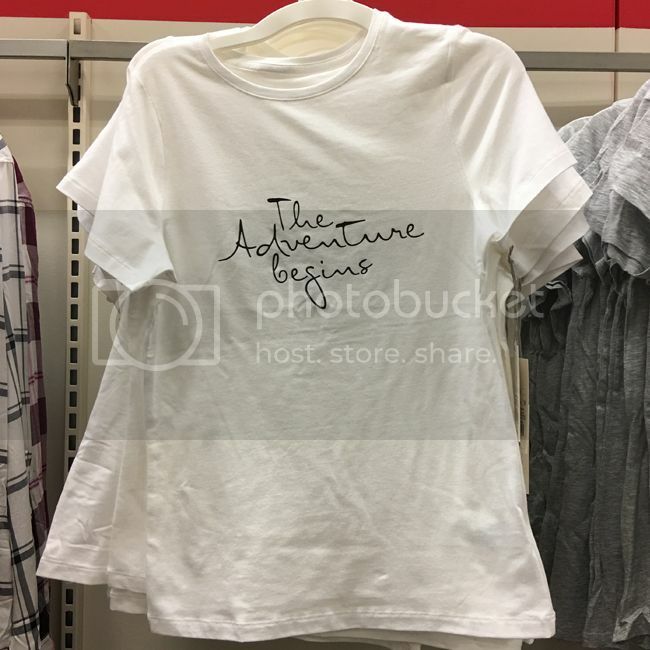 If you've shopped the Women's clothing department at Target recently, you might've noticed the quiet launch of their new brand called A New Day. 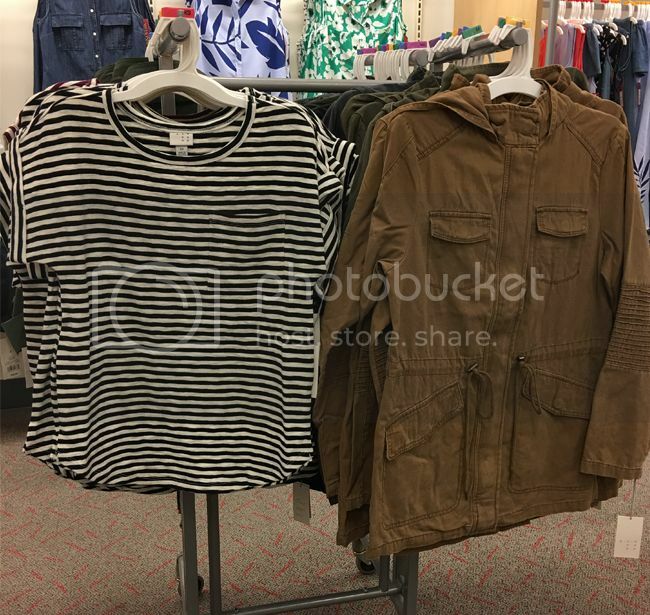 It's akin to the Merona brand in terms of price and sizing, with a solid selection of basic striped tees, khaki pants, lightweight cardigans, denim skirts, and utility jackets. Interestingly, Merona is being phased out to make room for Target's 12 new brands in apparel and home furnishings. According to Target's press materials, the official launch of A New Day is August 27. They describe it as a "mix and match" brand with "attention to detail and focus on quality in every piece." Here's a look at the logo and hang tag. January 30, 2019 update - See my Kona Sol at Target swimwear review. 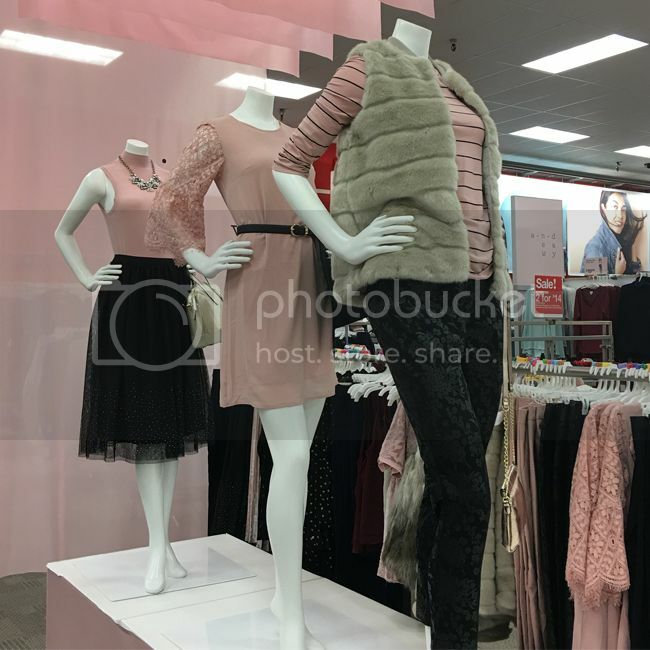 February 3, 2018 update - See my Universal Thread at Target review. See more info on sizing, availability, and the return policy. 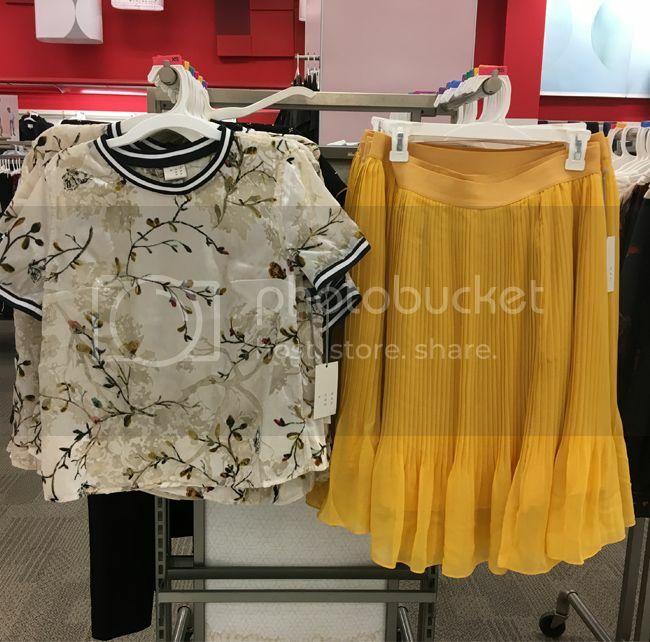 Here's the burnout velvet T-shirt ($24.99) and yellow pleated midi skirt ($24.99) from the ad campaign. The skirt also comes in navy. 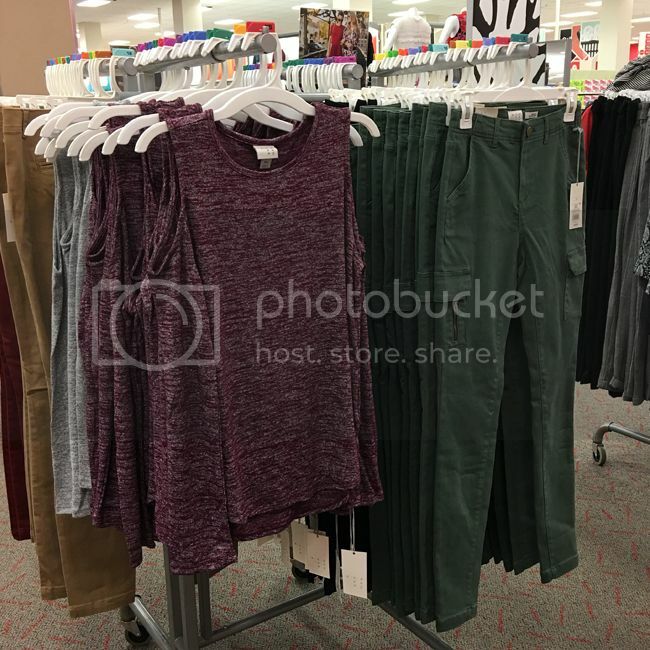 Both the top and skirt have become top sellers in my local stores. I have the top in a size small and it's got a roomy fit, slightly sheer construction, and with the sporty trim, it works just as well tucked into trousers or skirts as worn untucked with girlfriend or skinny jeans. Now for the clothing. My first impressions were that it appeared to be preppy. Upon closer inspection, I was impressed by a few items. 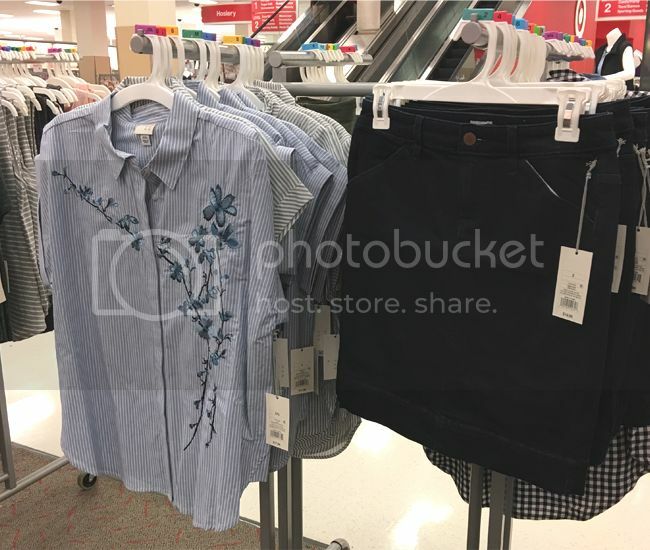 While the denim skirt didn't spark my interest, the floral embroidered blouse ($17.99) was tempting (and would actually look nice tucked into the indigo skirt). 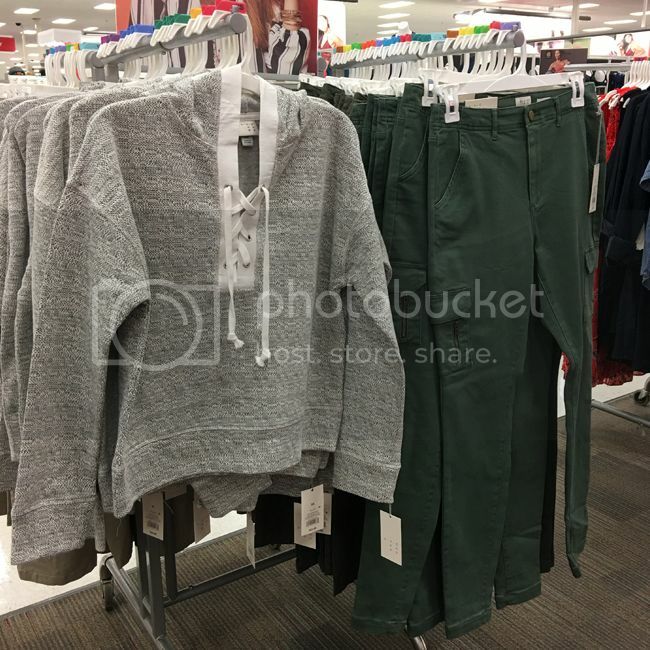 This grey lace-up hoodie ($24.99) had just enough detail to grab my attention and make it into my basket. It has a structured, boxy fit but is still comfortable. I plan on wearing it with white denim, printed leggings, slim joggers, and grey skinnies for fall. 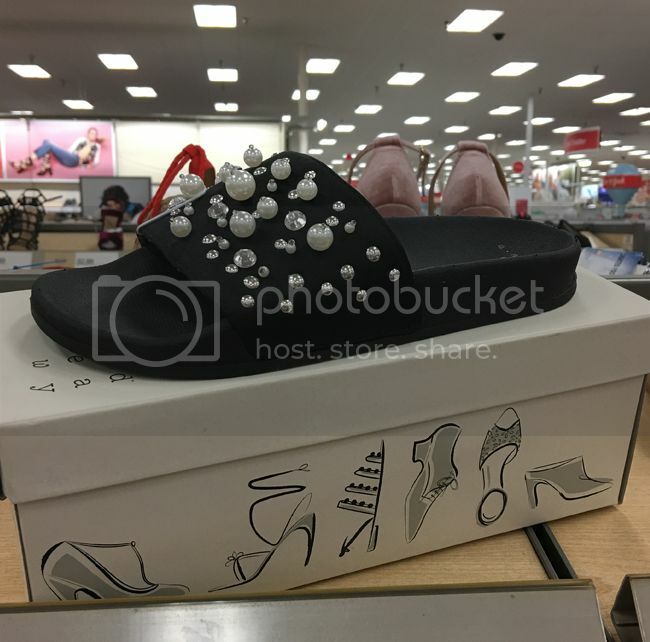 Shoes by A New Day have on-trend details and adorable artwork on the boxes. While I usually recycle my shoe boxes, these would make fun storage containers. This pair of pearl-embellished slide sandals is $24.99. 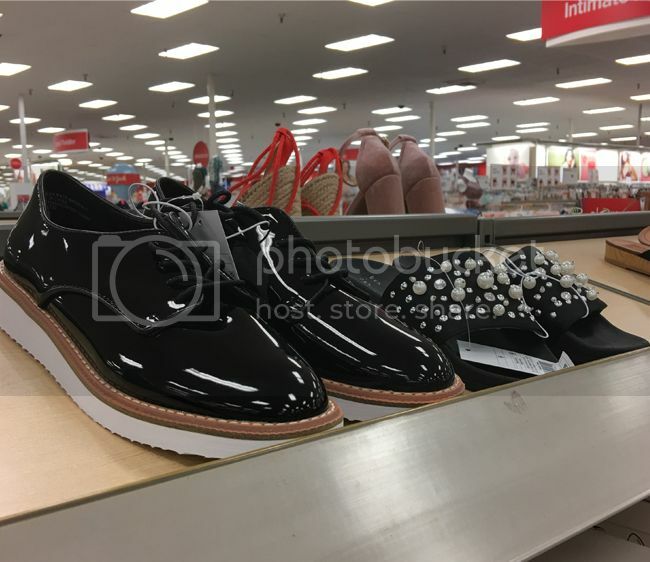 These glossy platform oxfords ($27.99) remind me of Stella McCartney's style, and they also come in silver. I inspected them in store, and they felt lightweight. They run a half size small, so I'd size up, especially if you plan to wear them with socks. 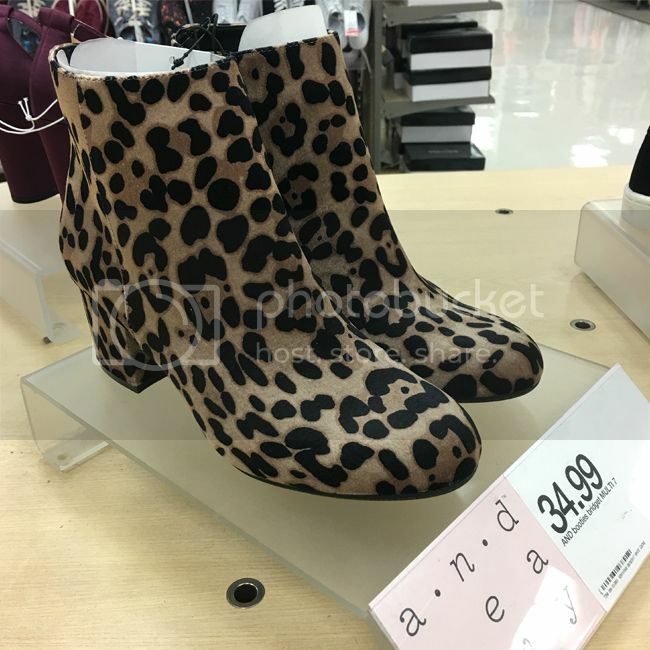 These Bridget velvet leopard print booties are top sellers. I tried them on barefoot in my regular size 7 and found them to run ever so slightly small. The plush texture, 2.25" block heel, and rich print make them look much more expensive than their $34.99 price tag. I'd size up half a size if you plan to wear them with thick socks or tights. These are perfect with cropped trousers, A-line dresses, mod mini skirts, and skinny jeans. My advice: don't let these get away before they sell out. 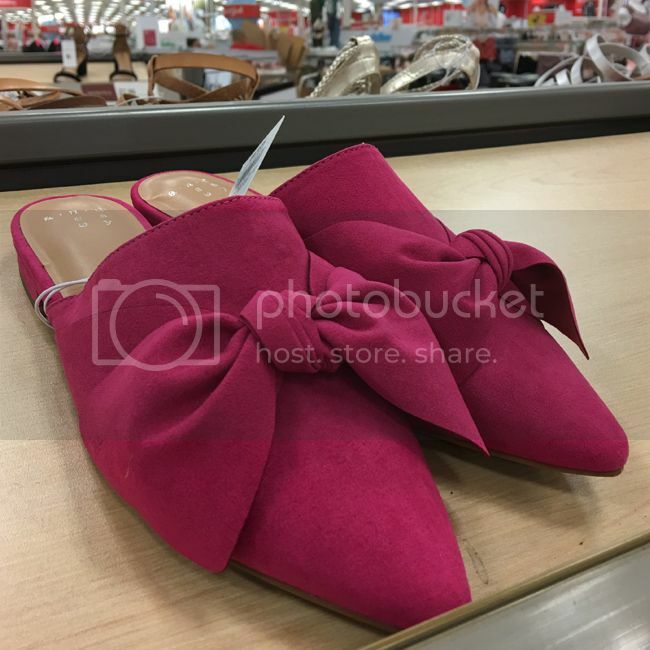 The Rebe backless bow mules ($24.99) run true to size and are comfortable. I got them in my regular size 7 and I adore them. 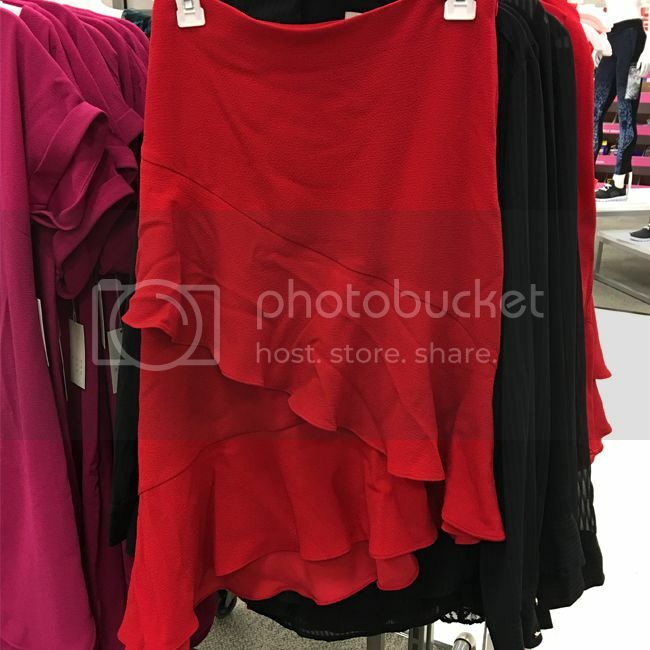 A ruffled skirt ($24.99) in the shade of the season (bold crimson) certainly caught my attention. Perfect for the holiday season, parties, or a night on the town. 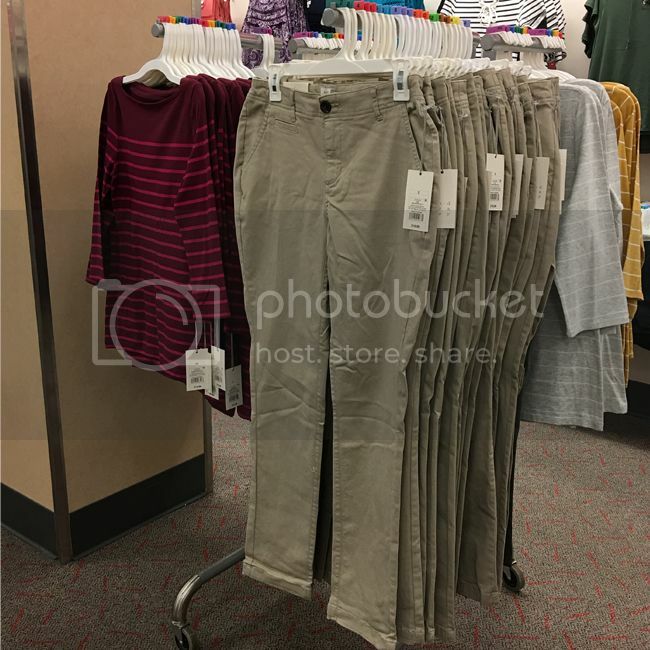 This is the statement piece that my store displayed front and center. I didn't like the poly crepe fabric and wrinkled texture. Below, some of the more basic items, in a traditional fall color palette. 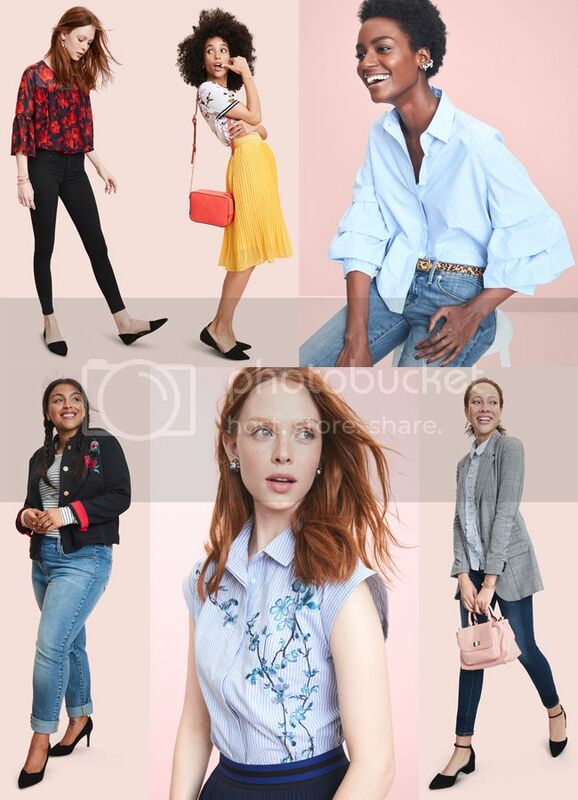 The pieces below instantly reminded me of Old Navy circa 2000-2005. 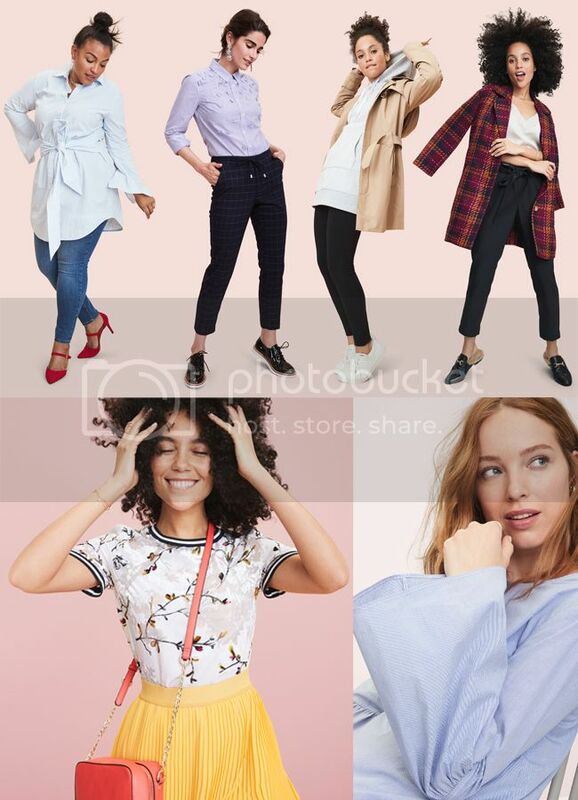 I'd prefer to see more denim, woven blouses, outerwear, and dresses from this brand. These pieces just felt preppy, boring, and uninspired. Not surprisingly, I won't be buying any of these. 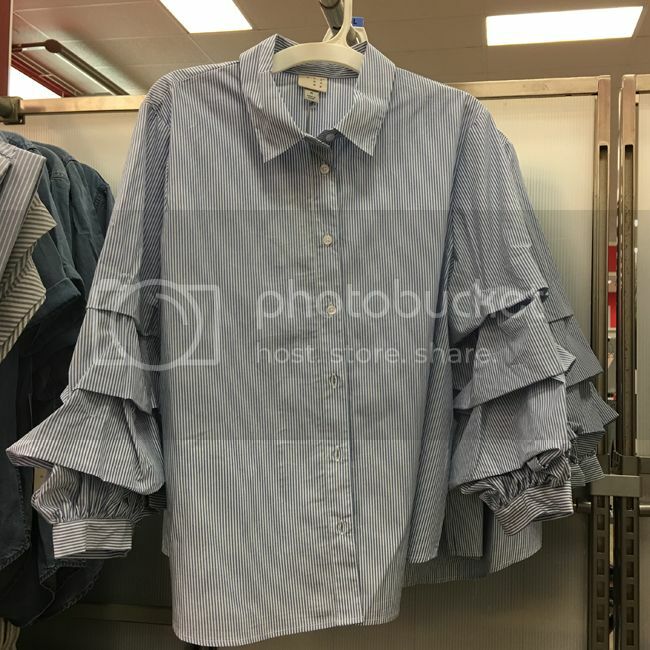 I love the sleeve detail on this blue striped blouse ($24.99). It's on-trend with just enough detail to make it stand out from the typical office-appropriate button-front blouse. I took one home and look forward to pairing it with two-tone denim, vintage Levi's, pencil skirts, and cropped trousers. 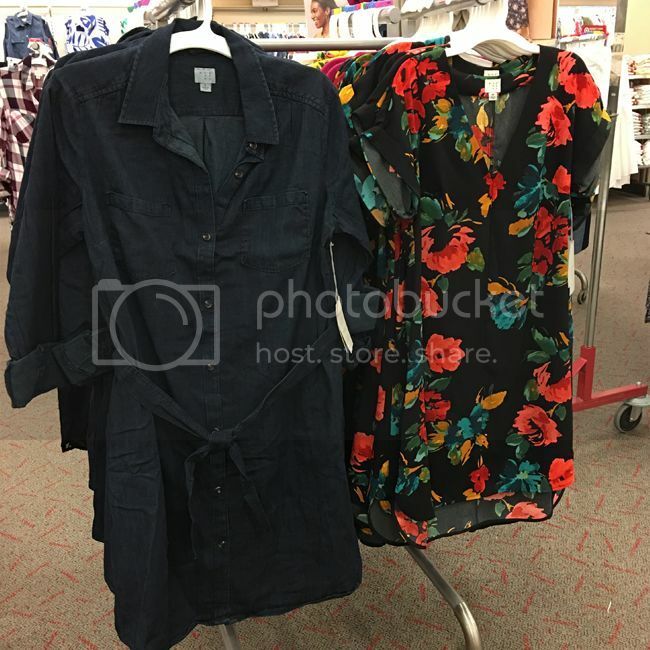 As a floral print collector, the V-neck shift dress ($24.99) stood out to me. It's a lightweight polyester and I think it would look very chic with a skinny belt. I'm looking forward to seeing more prints and trend-conscious pieces by A New Day. No more khaki pants and striped tees, though! For on-the-go shopping updates and sneak peeks, link up with me on Insta stories @thekeytochic. 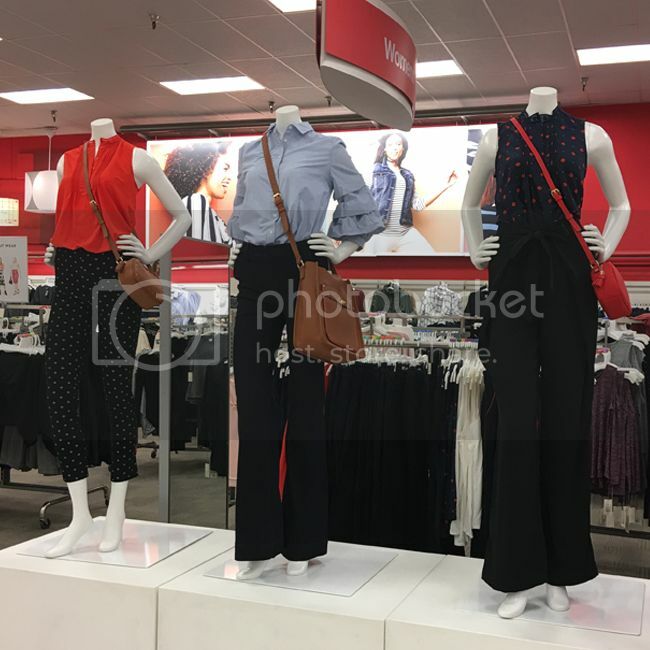 September 20, 2018 update - For more Target style, see my Prologue at Target review and my Universal Thread review.